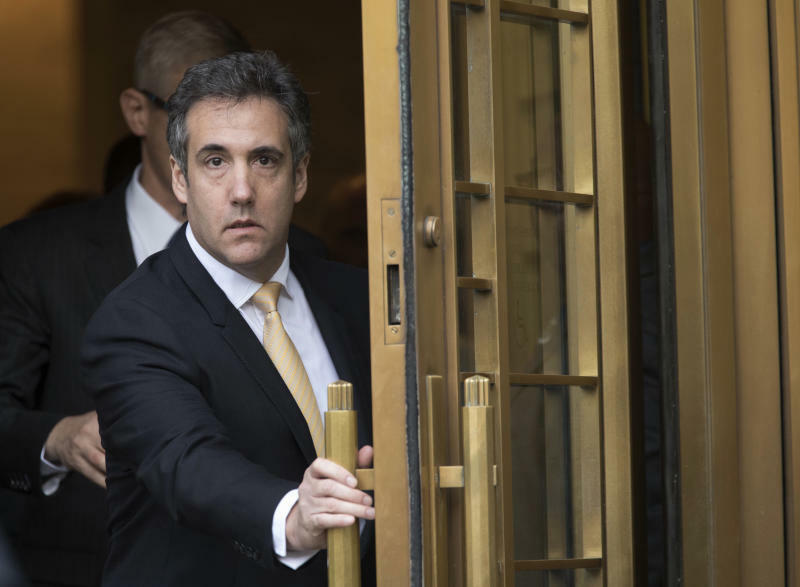 NEW YORK (AP) -- Michael Cohen, meet the Triggerfish. Agents using a Triggerfish cell-site simulator tracked the whereabouts of Cohen's two iPhones to a pair of rooms a floor apart at the Manhattan hotel where he and his family had taken up residence while their apartment was being renovated, the documents said. The FBI said in its April 8, 2018, warrant application that it was only using the device to locate Cohen's phones, not to intercept his calls or text messages. The raid happened the next day.